Sullivan Renaissance is a beautification and community development program principally funded by the Gerry Foundation. The program provides communities in Sullivan County with seed money for beautification projects. A limited number of proposals are funded each year under a competitive process overseen by the Sullivan Renaissance program. Grant amounts vary depending upon program categories. The idea of holding a contest to improve the aesthetics of Sullivan County originated with Sandra Gerry, a life-long county resident. While she and her husband Alan Gerry were traveling in the French Alps, they visited a village that had won a regional beautification competition. All of the inhabitants had participated with planting, painting and cleaning up. Together they had changed the look of their community – filling it with flowers, cleanliness and warmth. 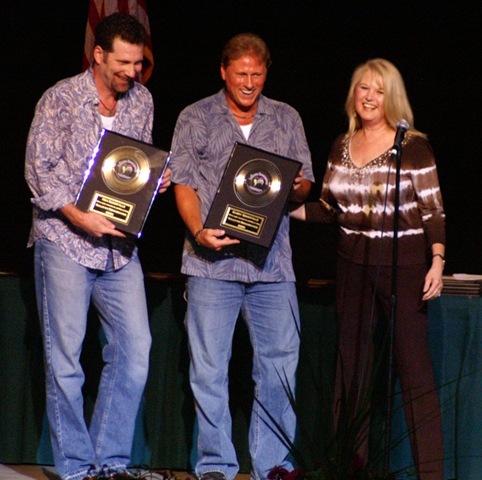 In 2006, Ken & Barry Somerville received gold records for their contribution to Sullivan Renaissance. Since it’s beginning in 2001, Sullivan Renaissance has funded over 325 community beautification projects in all 6 villages and 15 towns of Sullivan County. The program has grown to include school projects, internships, scholarships, mini-grants, seasonal demonstration grants, municipal cleanups, technical assistance grants, environmental grants and special endeavors like the Board of Realtors Showcase Awards. Each year Sullivan Renaissance welcomes youth participation in its programs and projects through internships, seminars and through the availability of a competitive scholarship program. Youth participation is supported in part with grants from the Louis R. Cappelli Foundation, and Bank of America Charitable Foundation. Additional funding has been secured by NYS Senator John J. Bonacic and Assemblywoman Aileen M. Gunther. Sponsorships have also been provided by WSUL/WVOS for Category A projects and by Thunder 102 for Category B projects. For information about Sullivan Renaissance, contact 845-295-2445 or http://www.sullivanrenaissance.org.